On World Poetry Day (March 21), I recall few great poems that are very motivational. Aspirants of engineering and medical entrance exams work very hard for 2 or more years, but the few weeks just before the exams are hardest. You are exhausted, worried and even scared. But dear friends, keep the faith. 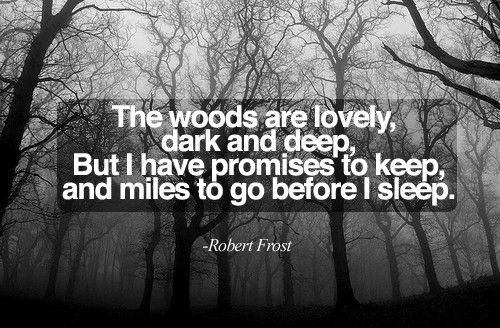 In this lovely poem below, Robert Frost beautifully explains a concept that I have tried to map it your journey of preparing for entrance exams. There comes a time when after a long period of hard work, you come to a rest and think you may not be able to crack the entrance, going easy and choosing an easier graduation program is a good idea. You figure out how this easier program will also help you in realizing your dream. But remember the promise you made to yourself and your family of securing a seat in most reputed engineering or medical colleges. You then should make an effort to go that extra mile and keep your promise. Keep on going strong as after the hard work, a bright future awaits.